On an early November day, preparing to face a near sold-out crowd on the L.A. stop of the group’s U.S. tour supporting Major/Minor, their recently-released eighth studio album, drummer Riley Breckenridge recalls early aspirations. “Our first goal as a band was to play Chain [Reaction],” a popular all-ages venue in Orange County. 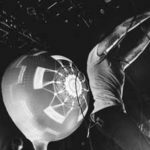 Around the turn of the century, Thrice found themselves frequenting Chain, in addition to numerous garage shows and backyard gigs, with an OC band called Taken, the former group of current Circa Survive bassist Nick Beard. Breckenridge says Taken was the first band to get them shows outside of Southern California. “They were pretty instrumental in helping us branch out of Orange County,” he recalls, remembering their first out-of-state gig in Las Vegas with Taken and Curl Up and Die. As Teranishi and Breckenridge reacquaint themselves with early memories of Thrice’s adolescence, the warm tones of guitar amplifiers sound-checking begin to resonate throughout the venue’s basement walls. The mood in the green room becomes more relaxed, as the band members continue to offer rare insight into the group’s 13-year history. 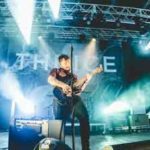 Thrice recently completed a lengthy North American tour with La Dispute, Moving Mountains, and O’Brother in support of Major/Minor, released in September via Vagrant. Early in our conversation when we started talking about shows at Chain Reaction, the group said they used to always go there to watch OC bands back in the day, such as Death By Stereo. Our 2009 interview with Death By Stereo at Bonnerhaus can be viewed here. Further, it should be noted that a handful of bands are mentioned as talking points during this conversation: Cave In and Circa Survive to name a couple. 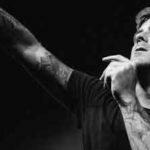 Ryan’s Rock Show interviews with both bands can be seen here and here respectively. 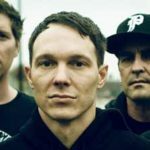 And lastly, if you’ve been a longtime Ryan’s Rock Show reader, you may remember an interview we did in January 2008 with former Hopesfall drummer Jason Trabue, where the gloves came off about the band’s beef with Trustkill Records for ripping them off. What’s he been up to lately? Turns out, he’s been handling drum tech duties for Thrice. We hope he’s been well. After the SeaWorld gig, at what point did it feel like things were starting to come together for the band?